Sorry for no new post this week nerds, it's been crazy hectic in both mine and Super Space Chick's lives. 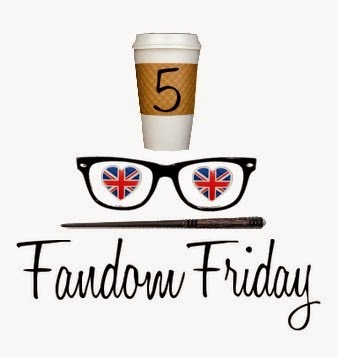 We LOVE 5 Fandom Friday and we still want to keep it up, so we asked some of YOU to suggest prompts this go round. Here is the new list! Thank you ladies for your suggestions! I cannot wait to get writing! If YOU want to suggest prompts for the coming months please comment below! I think it was nice to have a break! Gives everyone a chance to re-energize! I'm so glad I was able to help with ideas! Here are some suggestions! Top 5 Superpowers I Want. 5 Fictional Places I Want to Travel. 5 Favorite Animal Sidekicks. I'm excited for these! The mom one's have me thinking hard! Ooh can't wait to get started on the new posts! Yay, these are great topics! Can't wait! 5 Favorite Teachers/Professors! And maybe 5 Songs/Movies/Shows People Wouldn't Expect You To Like But You Do (ummm, you can work on the wording on that one)? 5 Underrated Books/Shows/Movies. 5 Times A Book/Movie/Show Made You Facepalm (and as a follow-up, the 5 equivalent OVERrated choices). I can't wait to get started again! :) Writing about these will be a blast! We have some suggestions! Top 5 90s Movies or 5 Favorite Geek Girl Blogs (can't put your own).